All yurts utilize a shared bath. 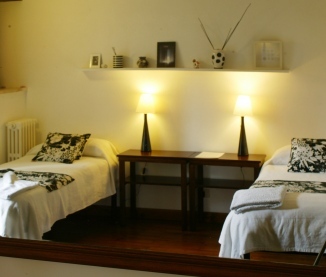 All rooms have either private and shared bathrooms. Those with private bath are given out on a first come, first served basis. Relax and enjoy the splendors of the enchanting Sabine Hills, among Italy’s foremost hidden treasures, less than an hour from the eternal city of Rome. On this retreat, you will enjoy classes with Cora Wen, an internationally prominent senior teacher of alignment and restorative yoga. A lifelong student of Buddhism, Cora is a firm believer that wellness emanates not only from the physical but also the mind-body and spiritual connections. Daily practice will offer an active 2-hour morning session and an optional hour in the afternoon of restorative yoga, meditation and discussions. Incorporating principles of Chinese Meridians into a movement and breath-oriented practice, Cora focuses on body systems and the root causes of underlying health concerns. Her approach provides students with the tools of asana, meditation, and relaxation to unwind and access their inner sources of stability and calm. Our accommodations will include two beautifully restored rustic 17th-century stone farmhouses with a gorgeous outdoor yoga platform. The grounds are lush and abundant, with a natural spring, gardens, pond and gorgeous swimming pool. Each room is unique and tastefully designed in a simple, natural style, a combination of old and new. 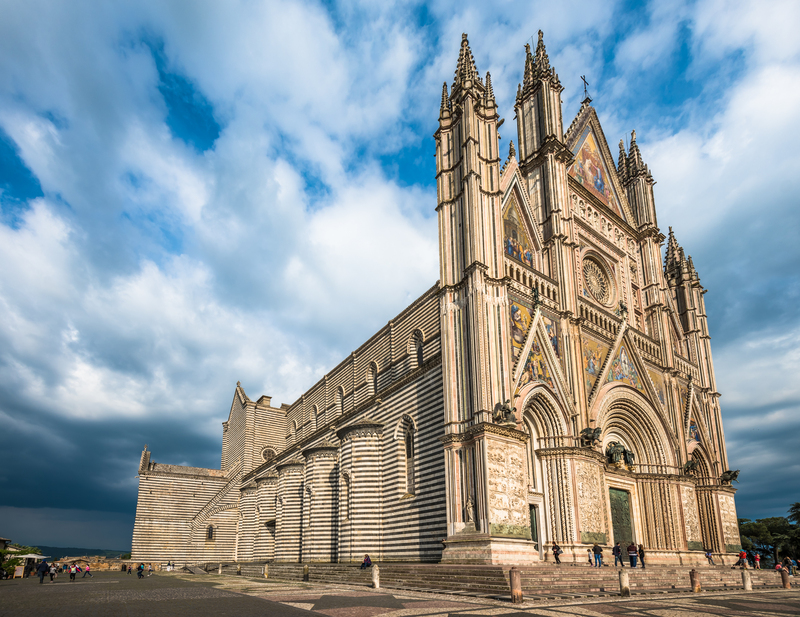 The week also includes sumptuous, healthy local cuisine; a day trip to Assisi and the Basilica of St. Francis; a cooking class of local ingredients, and a comparison tasting of artisanal olive oils by food writer and Wine Spectator columnist, David S Gibbons. A non-refundable deposit of $500 is required to hold your space. Final Balance Policy: Final payment must be received by	... July 7, 2018 in order to be eligible for the early bird pricing and all payments are non-refundable. Cancellation Policy: In the event of cancellation your entire payment will be refunded less the $500 deposit if the cancellation is made before July 7, 2018. Payments are non-refundable after this date. Travel Insurance: We strongly recommend that you purchase travel insurance for your trip. There are many travel insurance companies to choose from but Travelex and World Nomads are two reputable organizations for worldwide travel coverage. You will book your international ticket into and out of Fiumicino international airport in Rome (airport code: FCO). 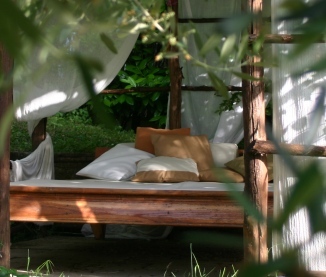 In Sabina is a perfect location for a tranquil and restful yoga retreat in Italy. In addition to the yoga practice, you can also explore the countryside and the immediate surrounding area is superb for walking. A winding country road leads from the property to the charming medieval town of Torri in Sabina three kilometers away, or you may prefer to just lounge by the pool, relax and take in the fantastic views. In Sabina is a gorgeous, authentic Italian property with many wonderful qualities— Much like staying in someone’s personal home! All the rooms are beautifully designed in a rustic and simple style, in a combination of modern and old. The materials and fabrics complement the character of the buildings and their setting, creating an environment which is calm, comfortable and practical. Yurts within the grounds are also available for a reduced fee. Three of the Double bedrooms have their own bathroom, one has its own toilet and basin and all others share bathrooms between two rooms. Rooms are designed in a simple natural style – a combination of old and new. Rooms are allocated on a first come first serve basis. 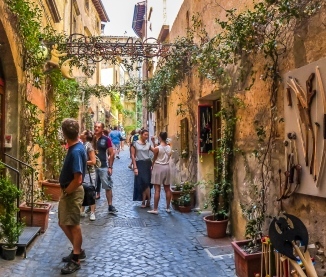 U.S. citizens may enter Italy for up to 90 days for tourist or business purposes without a visa. Your passport must be valid at least 6 months from your date of arrival. 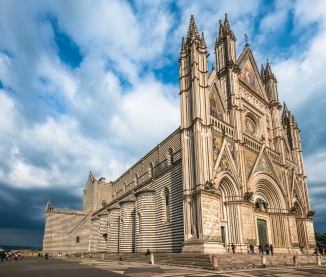 There are no required vaccinations for travel to Italy. However, there are some recommended (suggested) vaccinations given by the CDC. To see the complete list of what is recommended, please visit the CDC Website and consult with your primary care physician to make a decision on what is best for you. Yes, airport transfers are provided from Rome on the first and last day of the retreat. We recommend arriving in the morning of trip start and departing in the late afternoon of trip conclusion. In Sabina is within easy access of Rome and its airports. It is approximately one hour from the center of the city (by car or train) and around 1.5 hours drive from both airports. Attendance varies from trip to trip, but 12 - 15 attendees is a general average. Yes, meals are included. Vegetarian meals will be prepared by a private chef throughout the week. Special diets can be accommodated if required and ordered in advance. Before the morning yoga practice teas, fruit and juices will be available, there is an area near the pool where to make tea at anytime. Light breakfast, lunch & dinner will be served alfresco, weather permitting, using fresh local ingredients and produce. Note: this excludes lunch while visiting Assisi. Gratuities are not included in the price of your trip. Gratuities are shared by staff, housekeeping or other employees helping you throughout the week then an additional tip is always appreciated. We suggest a budget of around $10/day per guest. What can I expect from the yoga programming?